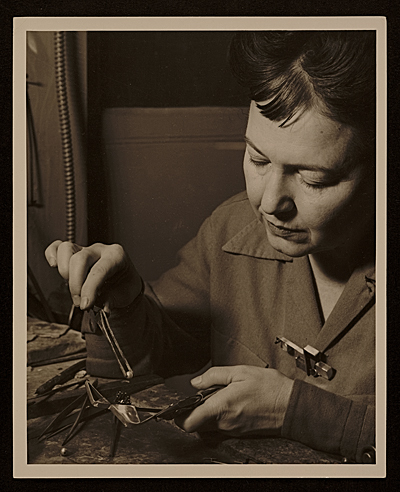 Margaret De Patta at work, 1948 / George Straus, photographer. Margaret De Patta papers, Archives of American Art, Smithsonian Institution. Community of Creatives and Mobilia Gallery have some great photos of Margaret De Patta’s pieces, and their capturing of light. 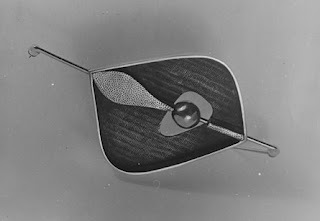 If you are fortunate to live near the Oakland Museum of California, you may have seen the exhibit Space-Light-Structure: The Jewelry of Margaret De Patta, February 4, 2012 – May 13, 2012. If you live in NY, check it out now at: Museum of Art and Design, New York City, June 5th, 2012-September 23rd, 2012, Space-Light-Structure: The Jewelry of Margaret De Patta. 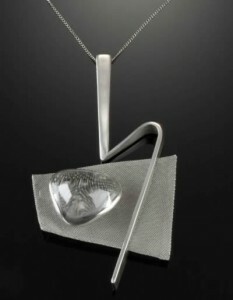 Art Jewelry by Margaret De Patta. Thanks for the education this morning on another creative Margaret. Really interesting designs. I was thinking as I was reading how many paths our lives can take. You may already know, but the Margaret de Patta show that was at the Oakland Museum has now come to New York – it’s at the Museum of Art & Design (MAD) in NYC until September! Thank you so much for telling me about this Toby! I am close enough I could go to New York to check it out! I added a link to the exhibit.